There's good news and bad news in GoBankingRates.com's annual savings survey. Each year the personal finance site asks consumers how much money they've managed to save. This year 54% reported having less than $1,000 in the bank. While that might not sound like the good news, it is. Last year, 69% of consumers had less than $1,000 set aside. "We did see that the percentage of people who have less than a thousand dollars saved, and that includes people with zero savings, fall -- and that is good news because it shows a higher percentage of people have $1,000 in savings," Cameron Huddleston, a reporter at GoBankingRates, told ConsumerAffairs. Now here's the bad news: 39% of consumers admitted they had no savings at all, up from 34% who were in that predicament last year. So despite a steadily improving economy, a lot of consumers are moving backward. It should be pointed out that the survey specifically asked consumers how much money they had in "a savings account," and Huddleston concedes that it is possible consumers have socked money away in other things, like money market accounts or even checking accounts that pay a higher rate of interest. "Part of it could just be semantics," Huddleston said. "On the other hand, the increase in people with $1,000 in savings could have to do with their improving financial condition. Consumers, it turns out, are making more money. The Census Bureau reports that real median household income increased by a little more than 3% between 2015 and 2016. At the same time, fewer consumers were officially "poor," with a nearly 1% drop in the poverty rate. The official tally shows median household income last year was $59,039, up from $57,230 the year before. But while consumers were making more money, it was harder to save. "The people who are doing okay and seeing their financial situation improve -- perhaps they are actually setting aside more," Huddleston said. "They're finding a little more room in their budget to increase their savings. But the improvement is not across the board. Drilling down into the numbers, we see that younger people seem to have the hardest time putting money away. There could be several reasons for that. Millennials are early in their careers and their paychecks aren't that big. If they have started a family, their expenses could be growing. Then, there are those student loans. "It probably comes as no surprise that Millennials are dealing with a lot of student loan debt," Huddleston said. "Every year student loan balances rise as college tuition rises." And that takes a big bite out of the monthly budget. That leaves less to pay day-to-day expenses, much less to sock away in savings. Huddleston says that may make saving money harder, but not impossible. She cites the case of a young couple she recently interviewed with a take-home pay of $3,200 a month. Yet, she says they managed to pay off $5,000 in debt in one month by tightening their belt and liquidating assets. "During that time they had been paying off student loans, they had actually been putting money aside into savings," she said. If you're going to save money, Huddleston says, you have to make it a priority. If you don't, you'll be tempted to spend any extra money in your budget. The concept of "paying yourself first" actually works if you build a regular payment into your savings account into your monthly budget. 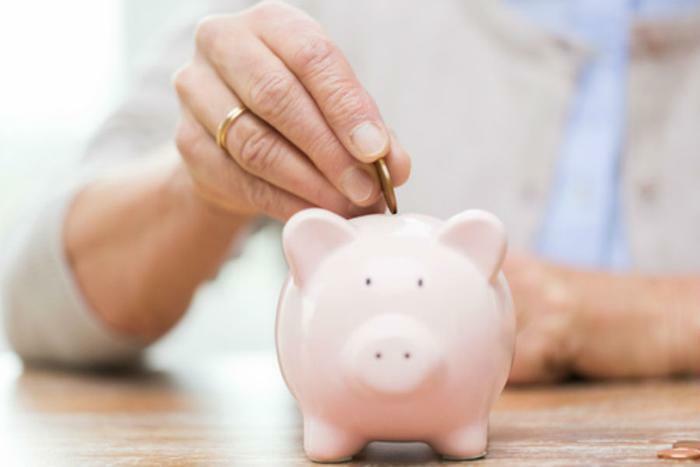 And while saving for retirement, a down payment on a home, or a child's education are worthy savings goals, Huddleston says the first goal should be to fund an emergency savings account. "Something is going to come up," she said. "Your car is going to break down, you're going to need emergency dental surgery, you're going to have a big medical bill, and you're going to have to come up with the cash to pay for it." Why does it seem so hard to save money? Yes, life does seem to have a lot more expenses than it did in earlier generations, but Huddleston doesn't discount the role of social media. When consumers see posts about their friends' fun vacations or nights on the town, they naturally want to join in. In fact, she cites previous studies that show it isn't low-income consumers who live paycheck to paycheck as much as those making good salaries. Households earning $100,000 a year or more are most likely to be the ones living paycheck-to-paycheck.